Lights... camera... competition! 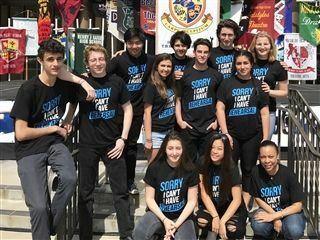 Over the weekend 11 students in the Advanced Acting and Directing class participated in the Fullerton College High School Theater Festival. Students performed solo and in groups more than 20 times! The festival was a great opportunity for inspiration and united theater students from throughout the region.